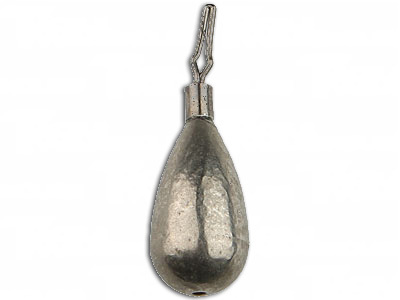 Tungsten Tear Drop Weights are currently offered in sizes ranging from 1/8 to 1/2 ounce which will allow you to reach your desired vertical fishing depth. With their tungsten compostition, you will easily feel when a fish is on the other other end of your line. The Tungsten Tear Drop Weights feature an "iron shaped", twist free swivel to easily cinch your line into. All weights have a strong bond between the swivel and weight. If you are looking for a great slender drop shot weight to try, this is one of our top seller hands down!